30.10.2015. Glasgow, Scotland. FIG Artistic Gymnastics World Championships. Day Eight. 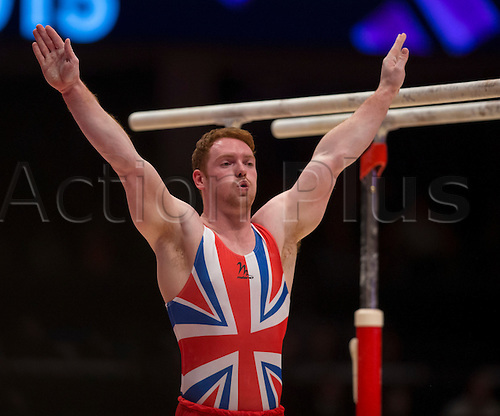 Daniel PURVIS (GBR) at the end of his Parallel Bar routine in the Men's All-Around Final.